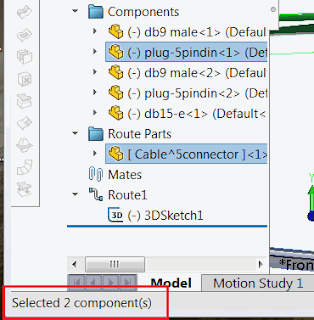 This macro counts all unique components selected in the assembly using SOLIDWORKS API. Components can be either selected in the features manager tree or in the graphics area. Macro will also count component if only entity of the component is selected (e.g. face or edge) using ISelectionMgr SOLIDWORKS API Interface..
swFrame.SetStatusBarText "Selected " & swCompsColl.Count() & " component(s)"